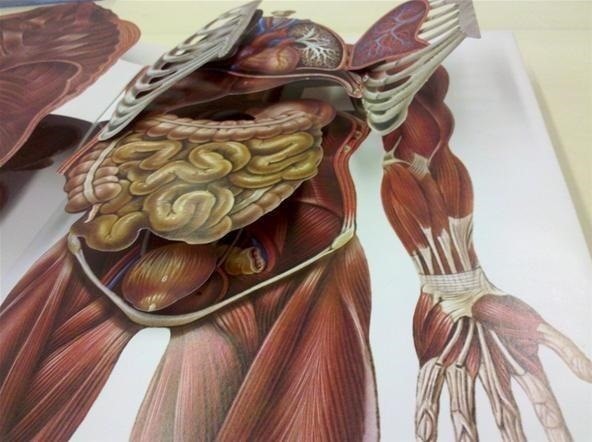 If you're studying human anatomy (or have ever visited a doctor's office), you're no doubt familiar with those plastic anatomical models with removable pieces meant to teach the different parts of the body. Before those, there were illustrated pop-up books. If you need to know the difference between the latissimus dorsi and the multifidus, you're probably better off sticking with your textbook diagrams. 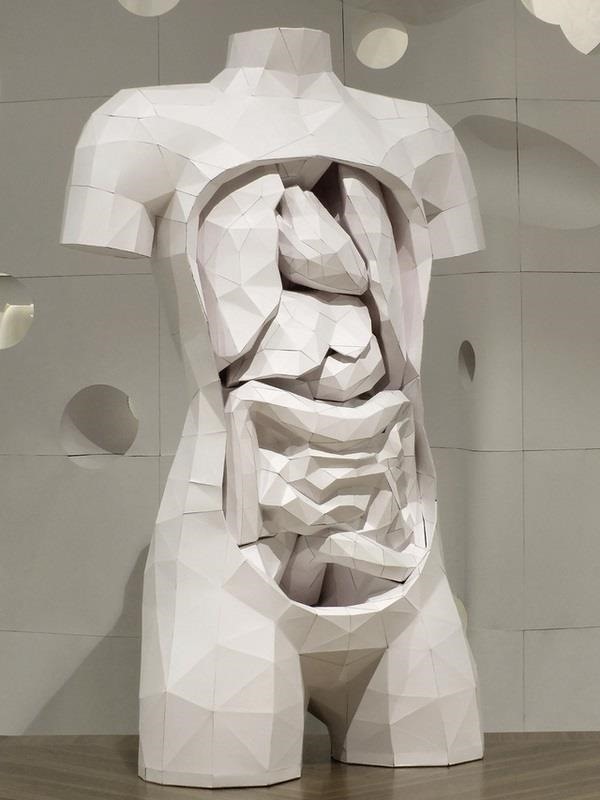 But if you prefer a more artful approach (and have a lot of time one your hands), this papercraft model of a complete human torso made by artist Horst Kiechle would make a great weekend (or month-long) project. 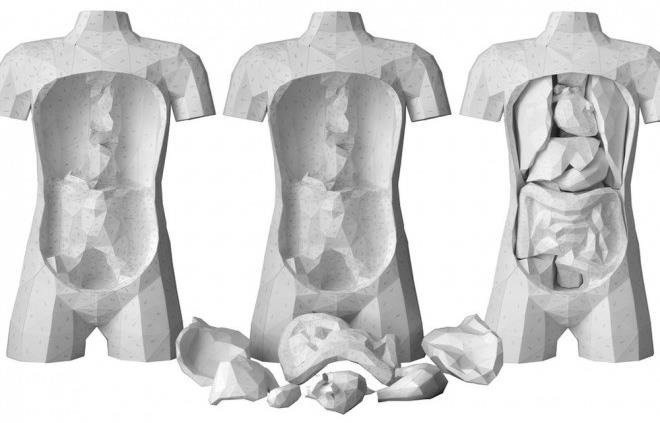 The model has removable organs, which Kiechle created to teach biology lessons to children in the Fiji Islands. He used thick card stock paper to make it durable and glue to hold everything together, but that's where the simplicity stops. Folding the paper and constructing the model takes over 700 steps, and even more patience. Kiechle describes the process as "not really difficult, just very time consuming." For those of you with enough time on your hands, he posted a detailed how-to guide including diagrams and step-by-step instructions. If you're interested in giving it a try, you can download the templates from his website. Once you've created your model, make it even more impressive by adding some color, or make it obsessively intricate using an technique called quilling. And then, of course, show us! 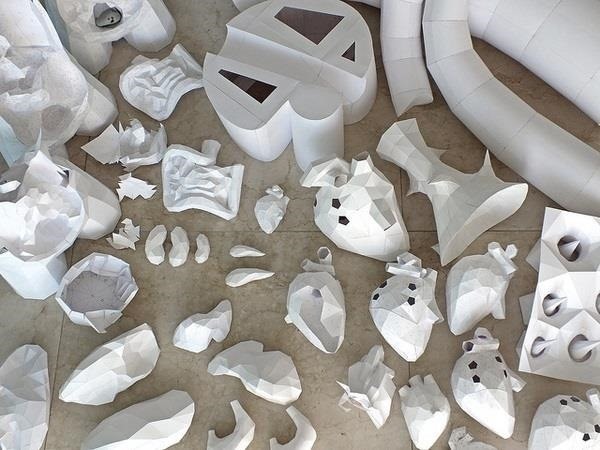 We really want to see if any of you can recreate this insane papercraft project without losing your mind (which is something that you thankfully don't have to make).